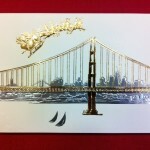 Customers love personalized, custom, San Francisco themed Holiday Cards to send out to their Holiday Lists. 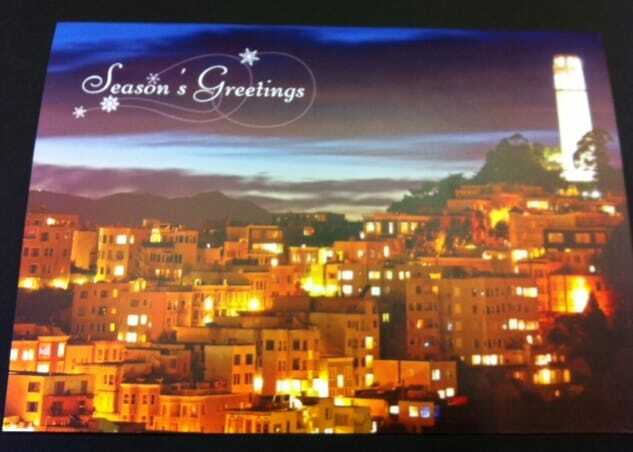 Whether it’s for corporate Holiday Cards or Personalized Holiday Cards these are perfect San Francisco city scene cards! Please see from the San Francisco Holiday photo cards below. The above Holiday Card depicts a custom San Francisco Holiday Card we can personalize for your friends & family or colleagues for the Holidays. You can order the example above over the phone at (415) 626-0461, EMAIL US, order ONLINE on our Holiday Card Website. 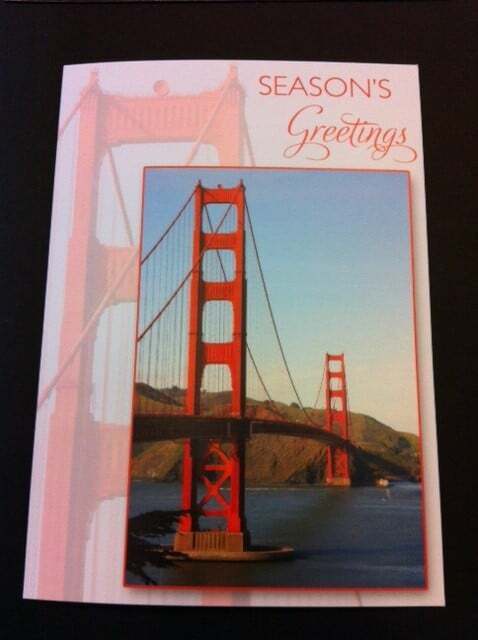 Season’s Greetings San Francisco Holiday Cards with Golden Gate backdrop make for a personalized, custom holiday card to send out to your business holiday list! You can order the above San Francisco Holiday card over the phone, email, ONLINE or come in to our San Francisco Store at 3 Embarcadero Center in San Francisco,CA. 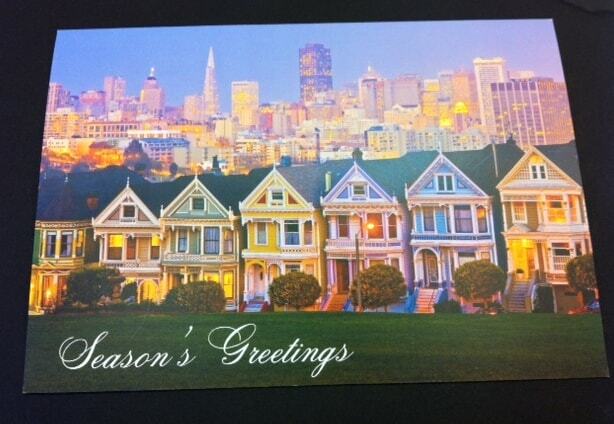 San Francisco Houses Themed Holiday Cards are a typical scene of colorful houses you can see in our city. 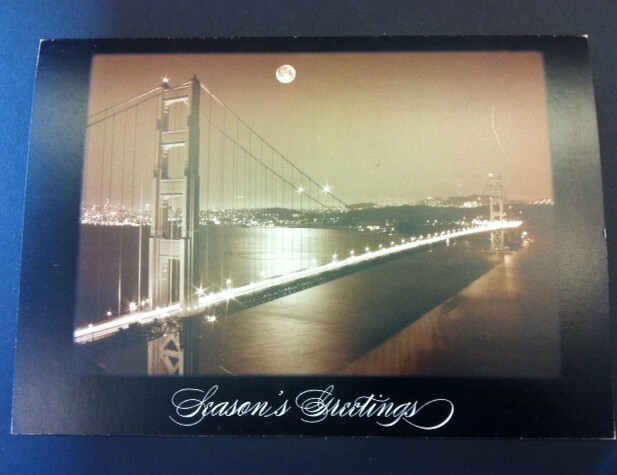 City Lights Holiday Card overlooking our City by the Bay. 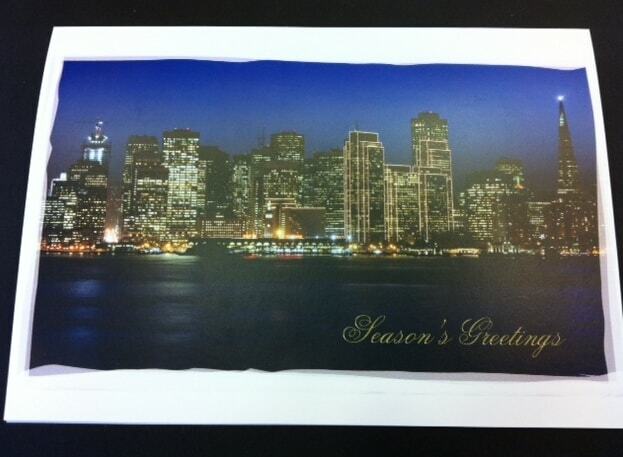 Finally, the 2013 City Holiday Card can be customized for any city for a grand gesture. You can celebrate the New Year with the Wonderful scenic card. 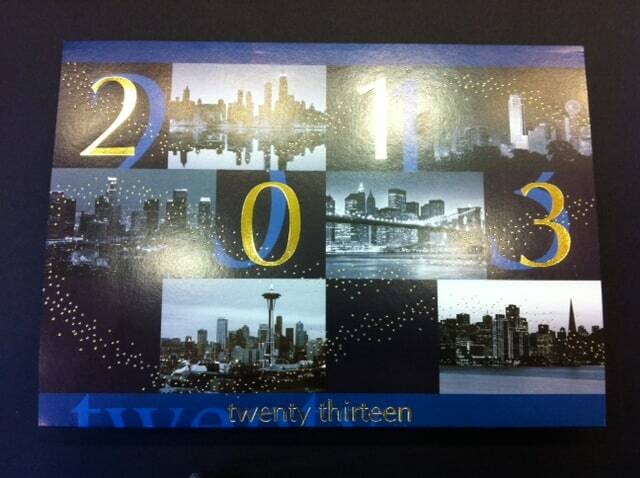 All of our cards can be personalized with the city of your choice, please inquire for personalization. 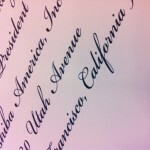 You can also choose our Calligraphy for Envelope Addressing of your guest list. For more holiday ideas please go to our Holiday Category and or Holiday Page. You can order all of the above cards ONLINE or come in to or call our San Francisco Store. Happy Planning!